MIAMI, Fla. (MarketWatch) — Rather than rely on emotions and opinion, which are frequently wrong, look at stock market indicators. 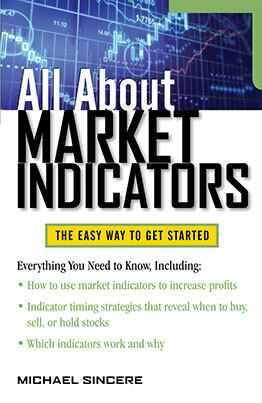 Although not foolproof, indicators do give important clues as to market direction. They are also used to monitor long-term market conditions. 1. American Association of Individual Investors (AAII) : You can find the signals for this weekly sentiment survey at www.aaii.com/sentimentsurvey , or in a number of financial periodicals. The idea is to do the opposite of individual investors. When investors are too bullish (over 60%), it’s a sell. When they are too bearish (over 50%), it’s a buy. Signal: The week of January 2, investors were 38.7% bullish and 36.2% bearish. Right now, this is a neutral signal. 2. Investor’s Intelligence Advisor Sentiment Survey : You can find this weekly sentiment survey at www.schaefersresearch.com or other websites. Similar to the AAII, Investor’s Intelligence surveys independent newsletter writers for their market view. If the newsletters are too bullish (over 50%), sell. If they are bearish (over 50%), buy. Signal: The week of December 26, newsletter writers were 48.9% bullish and 24.5% bearish. Note: A buy or sell signal doesn’t mean you react immediately. Sometimes signals remain in overbought or oversold territory for long periods. 3. CBOE Put/Call Ratio : Find the Put/Call ratio on the Chicago Board Options Exchange ( www.cboe.com ) or on charting software. This indicator tracks the volume of put and call options that trade on the CBOE. 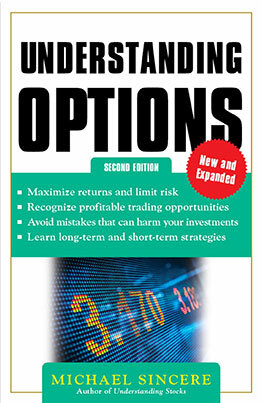 Because so many options speculators are wrong, it’s a clue to do the opposite. If the equity Put/Call ratio is lower than .75 (more call options are being bought), it’s a sell signal. If the Put/Call ratio is higher than 1.0 (more put options are being bought), it’s a buy signal. Signal: As of January 2, the Put/Call ratio was .55. This is a significant sell signal. If the Put/Call ratio falls below .50, it’s a screaming sell. These market indicators give a running tally of stock highs and lows, or advances and declines. The most popular are the New High-New Low, the Arms Index, and the Advance-Decline Line. All three recently showed buy signals. If more stocks continue to advance, and if the new high list expands, that would be a positive sign. 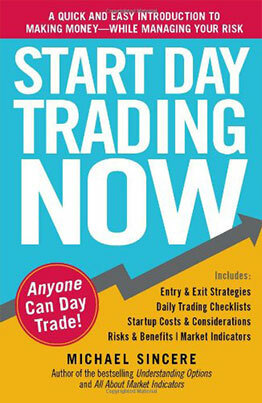 On the other hand, astute traders will also look for overbought or oversold signals. If these indicators reach extreme levels, and too many stocks are making new highs, it could mean excessive buying. That would be a warning. Moving Averages: My favorite technical indicator is moving averages, which can be found on any stock chart. 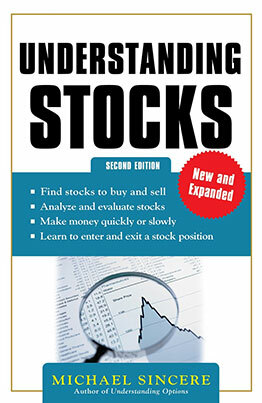 If used properly, they can help investors and traders stay on the right side of a market trend. It tells you if a trend has begun or ended. Moving averages show you the value of a security’s price over the duration of a time period, such as the last 20-, 50-, 100- or 200 days. Placing the moving average over the stock market helps you determine market direction. The most popular moving averages are the 50-, 100-, and 200-day. Signal: The moving averages are telling us the long-term market trend is positive. Looking at a three-month chart, the Standard & Poor’s 500-stock index (SNC:SPX) is well above its 50-, 100-, and 200-day moving average. Keep in mind moving averages are not designed to catch tops or bottoms, and are sometimes slow to react. They also don’t work well in choppy markets. My other favorite technical indicator is MACD, which is flashing a buy signal. January is the most important month of the year for investors and traders. Many believe it sets the tone for the rest of the year. Let’s take a look at two January indicators: the January Effect and the January Barometer. The January Effect, discovered by Donald Keim, says that when January is weak, it’s a bad omen. Conversely, if January is strong it could be a good year. It’s based on the idea that large institutions sell stocks at the end of the year for tax purposes and buy back in January. Unfortunately, the indicator has lost much of its effectiveness in recent years. The January Barometer has been more reliable. Devised by Stock Trader’s Almanac ( http://www.stocktradersalmanac.com ) founder Yale Hirsch in 1972, the January Barometer refers to the returns of the S&P 500 in January. The theory: if the benchmark is up in January, it will be an up year. If the S&P 500 is down in January, the year will be flat or down. Signal: We had a fantastic start to the year, but we won’t know the results of the January Effect or January Barometer until February 1. What is the market telling us now? Based on the above indicators, the market appears to be going higher. There is still plenty of pessimism, which is a positive sign for the market. The technical indicators are generally positive, and the market trend is up. And yet, there are danger signals. Sentiment indicators are reflecting increased bullishness, which could turn into a negative sign. If investor disbelief turns into increased hope and optimism, the market will react positively; that is, unless the euphoria gets excessive. If I see obstinate market pessimists throw in their towels (and that could take years), it would tell me we’ve reached a tipping point. 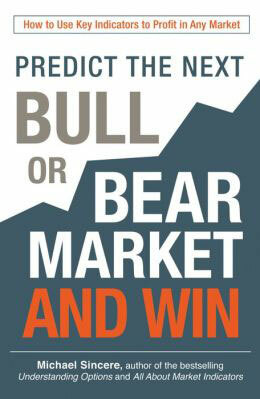 Until then, keep an eye on the market indicators for clues. There are hundreds to choose from, but the ones listed here are the most reliable.